The ongoing restructuring at South Korea’s Daewoo Shipbuilding & Marine Engineering (DSME) has seen lead creditor Korea Development Bank (KDB) up its holding in the yard. KDB now holds 79.04% of the yard’s shares, up from 49.74%. The bank’s actual number of shares it owns in DSME has decreased however to to 51,834,073 from 135,986,494. 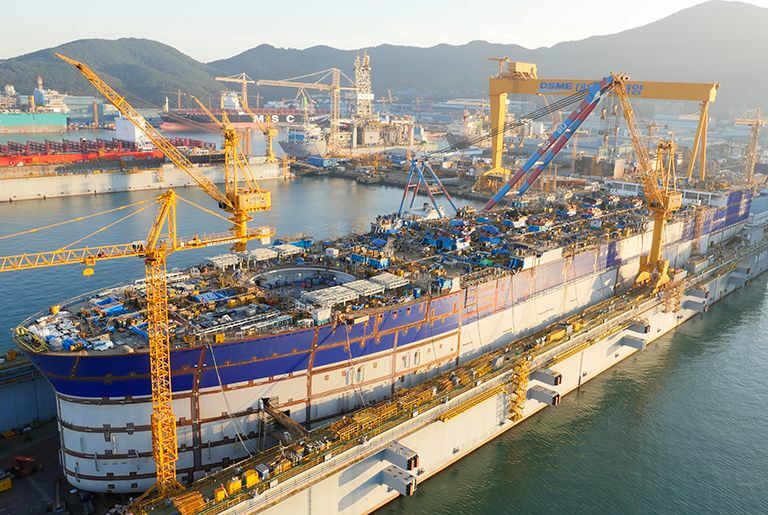 KDB has pushed through a debt-to-equity swap at DSME in its latest bid to right the books at the yard which has been hit by a drop in orders as well as a huge accounting fraud scandal which forced it into a restructuring.